As in slide 13, these flowers hand upside down. 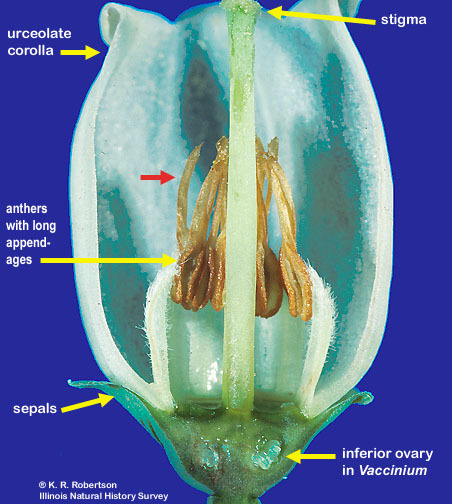 In the genus Vaccinium, the ovary in inferior. Note the extremely long appendages on the anthers (red arrow). Photo by K. R. Robertson and D. L. Nickrent of plants cultivated in Champaign County, Illinois.